“Civil Rights” refers to the rights you have as a citizen, under the United States Constitution as well as the New York State Constitution. Your individual Civil Rights include freedom of speech, freedom of the press, the right to vote, the right to privacy, and equal protection against discrimination. Civil Rights violations are a very serious offense. 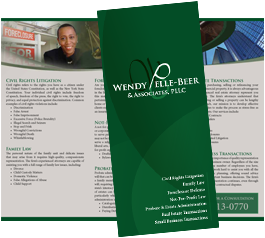 At Wendy Pelle-Beer & Associates, PLLC, we aim to help our clients resolve their business disputes through the most profitable means available. Sometimes this requires Commercial litigation. Commercial litigation is a broad term that refer to any type of controversy related to a business issues. Whether you are purchasing, selling or refinancing your residential or commercial property, it is always advantageous to have an experienced real estate attorney to represent you in the transaction. Wendy Pelle-Beer & Associates, PLLC, has successfully and safely guided its clients through the various stages of the real estate transaction. A not-for-profit—also known as a nonprofit—is an organization or corporation that does not operate for profit and is established to serve public interests. A not-for-profit organization may or may not be incorporated. The prospect of estate administration may arise when a family member or loved one passes without leaving a valid will. Estate Administration involves cataloguing the estate, distributing assets, and paying debt and taxes. Estate Administration can be a complex and difficult task to deal with, particularly when it involves the loss of a loved one. Are you or a loved one at risk of losing a home or facing a foreclosure? If so, consulting with an attorney who is fully versed in the laws, procedures, and legal actions required to combat this matter is essential. There are many your potential defenses pertaining to how to avoid or overcome the foreclosure of your home or business. 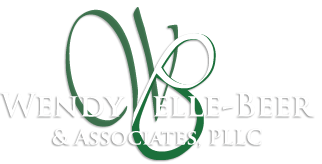 At Wendy Pelle-Beer & Associates, PLLC, we understand the importance of quality representation and advocacy for any business owner. Regardless of the size of your company or the number of employees you have, we’ll work hard to assist you with all the aspects of your strategic planning.